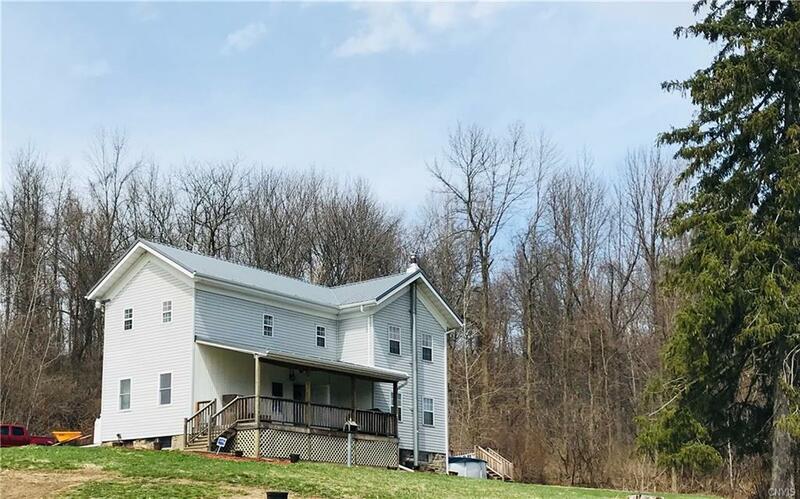 You will find Wonderful country living in this affordable renovated Home on 2.7 Acres! Includes acreage and barn across the road which could make it a hobby farm! Open floor plan with Large kitchen with new appliances, and Formal Dining room. Large bathroom downstairs includes 1st floor laundry. Covered front porch has great views of the countryside. Big circular driveway, room for a garden too! Enjoy the above ground pool this summer! Easy commute to Syracuse and Auburn! Attached shed could be renovated into a garage! Call today! Directions To Property: From State Route 370 West To Duck Lake Road. Home On West Side Of Road Just After Swamp Road.